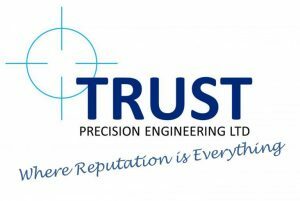 Trust Precision Engineering A specialist sliding head machining subcontracting firm founded in 2011, it produces precision components predominantly for the aerospace sector and has grown and developed quickly. VICIVISION UK machines deliver the fastest measurement using a combination of video and light projection, providing top-of-the-range performance in a practical, robust and compact design compatible with shop-floor environments. Nick Street, Managing Director of Trust Precision Engineering, said: “The amount of components we were producing meant we were struggling to keep up with the amount of inspections we would like to have done on a component. There was an obvious need for extra equipment”. Inevitably, though, such rapid growth has presented Trust with a new set of challenges. How, for example, to turn out vastly increased volumes at the same high quality that its growing portfolio of customers demand as standard? To solve this particular conundrum, the Nottingham-based company turned to VICIVISION UK, a leading supplier of optical, non-contact turned-part measurement machines and quality control systems dedicated to improving efficiency in production, reducing down time and increasing productivity. Nick Street: “I already had a piece of measuring equipment capable for our requirements when we originally started, so we went back to the supplier to see what they had. They demonstrated their shaft measuring machine, which appeared fine, but we decided against it after visiting a high-end medical customer. Using this equipment they’d struggled with gauge repeatability and reproducibility so only used it on more basic components, and they’d already had to upgrade. Trust Precision Engineering currently has two VICIVISION M304 Techno machines, which provide benchmark reliability in measuring cylindrical parts and enable fast and efficient batch changing. Their design makes immediate inspection available next to multiple machining centres, to more than one operator, bringing about a reduction in down time as there is no need to leave the production environment. VICIVISION UK places a heavy emphasis on second-to-none customer service, with its experienced professionals providing ongoing assistance in the form of training courses for machine operators, system repairs, spare part supplies and maintenance. This has certainly been key to the company’s ongoing positive relationship with Trust Precision Engineering, whose decision to upgrade to the Techno series was very much based on its previous experiences. Mr Street said: “After a year we moved our old VICIVISION out and bought the two brand new ones to go in the new inspection room. They really are fantastic pieces of equipment and mean every dimension of a part is checked – there’s nothing left to chance”. Investing in technology that guarantees long-term time and money savings made perfect sense for Mr Street.